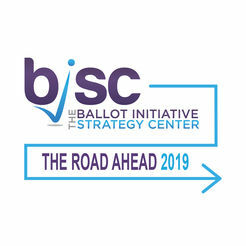 Last week, the Ballot Initiative Strategy Center (BISC) held its annual Road Ahead conference at the Park MGM in Las Vegas. Not only was it the biggest conference in BISC’s history, but it also took a bold new approach to make the event a valuable and insightful experience for the attendees. In the next panel of the day, “What if We Build the World We Want?” several executive directors including Voqal grantee New Florida Majority’s Andrea Mercado shared their experiences working on important ballot measures like Amendment 4 in Florida, the successful effort to give the vote back to returning citizens (sometimes referred to as reformed felons), and laid out a vision for making the progressive movement more successful going forward. The next panel, “What if We Use the Whole Toolbox?” looked beyond ballot measures with stories from those working to build the holistic organizing infrastructure needed to move progressive policy forward. The afternoon was filled with breakouts where participants gained the information and skills needed to build on the successes of 2018 to build an even more successful movement in 2019 and beyond. One of Voqal’s favorites featured Voqal grantee Voters Not Politicians and its successful effort to pass comprehensive redistricting reform in Michigan. The first day wrapped up with a panel featuring Voqal grantee Color of Change that took a hard look at what is required to engage disenfranchised and discouraged populations in democracy. The day continued with several breakout session focused on everything from preparing for legal challenges to successful ballot measures, to how technology can be maximized in the progressive movement. It was great to see so much valuable wisdom in one place. The theme of racial equity was not forgotten on day two. In the afternoon session “What if We Combined Authentic Accountability and Action?” PaKou Her laid out methods for putting racial equity at the core of progressive organizing and creating the spaces needed to engage marginalized populations. The day concluded with a panel focused on encouraging organizations and individuals to look beyond the typical short-term election cycle and instead plan for a long-term vision for the future. The final day of the conference wrapped everything up with an inspiring morning panel focused on the need to not ignore those states and areas of the country that may seem unwinnable on paper. Including a first-hand account of the successful effort to build a winning coalition around redistricting reform in Utah. BISC’s Road Ahead 2019 was an inspirational gathering of the leaders and organizers advancing progressive policy across the country. Voqal is excited to have supported many of those organization represented at the event, including BISC, and looks forward to the more inclusive ballot measure work that will no doubt result from this valuable convening.